Ferguson court taken over by state to implement reforms. 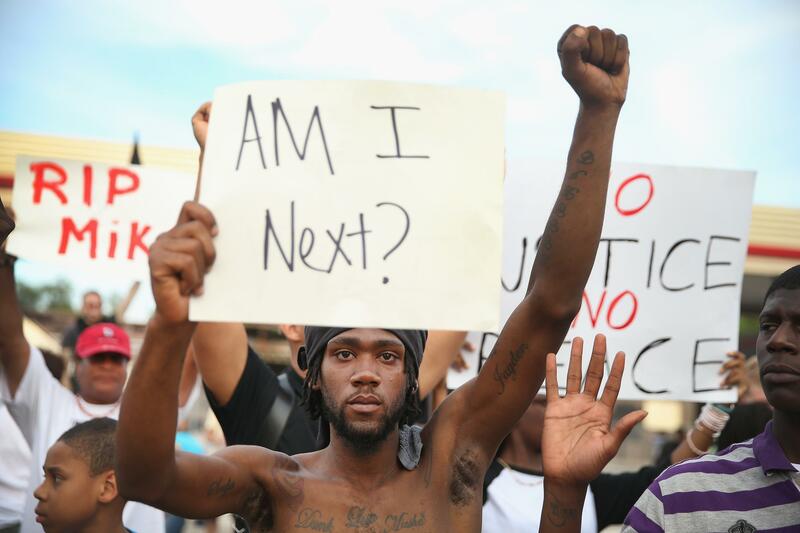 Demetrus Washington protesting the death of Michael Brown on August 14, 2014. In the wake of the Justice Department’s scathing report on the bigoted all-around conduct of the Ferguson police department and its corrupt municipal court system, the Missouri state Supreme Court took over the operation of the municipal court, appointing an appeals court judge to hear all of the court’s cases, in an effort to try to restore some semblance of credibility to the legal system in the area. Judge Roy Richter will now be in charge of the municipal court that covers Ferguson and has been given the authority to “to overhaul court policies to ensure defendants’ rights are respected and to ‘restore the integrity of the system,’” according to the Associated Press.